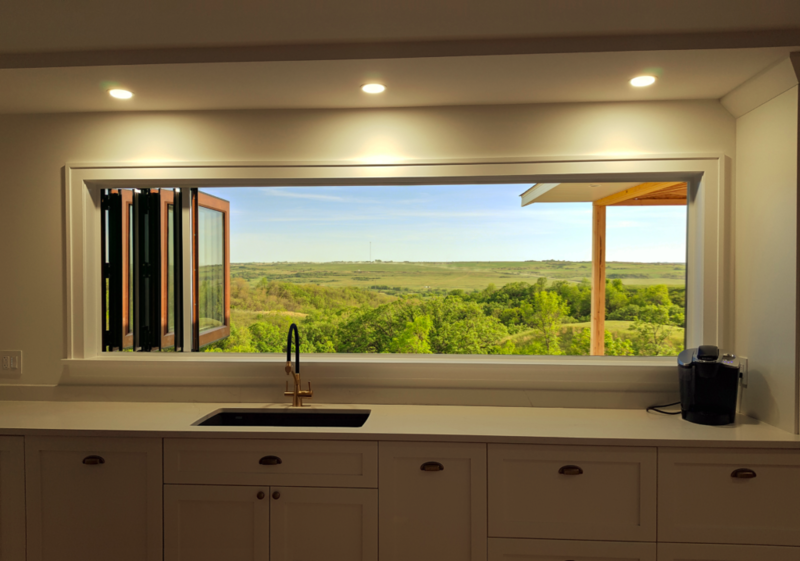 The tilt turn window is a dual functioning European window that makes a big statement visually and functionally. The tilt turn style allows the glass to tilt in from the top for ventilation or turn in from the side for additional airflow. 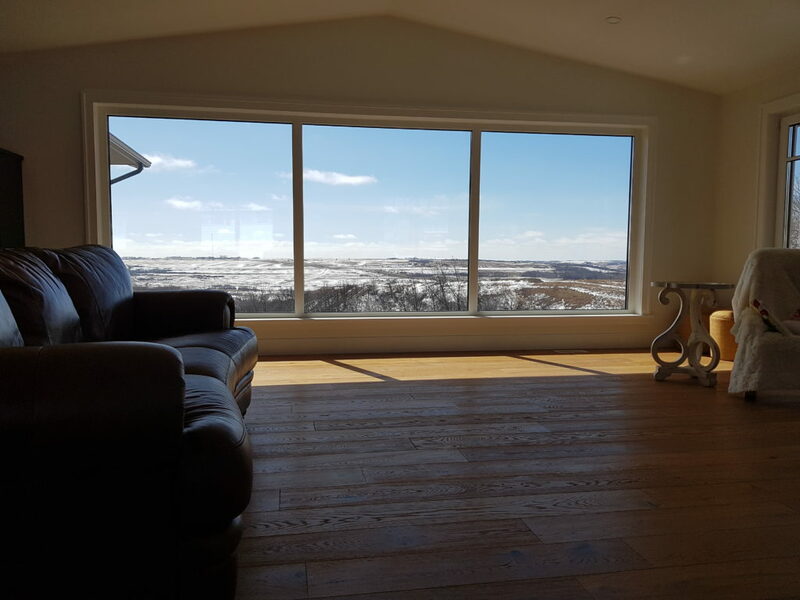 A unique benefit of this window is it allows you to easily and safely clean the interior and exterior glass from within the comfort of your home. 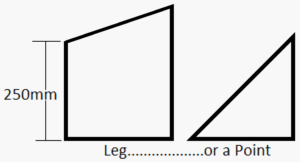 Dimensions of up to 2.5 sq. m. are achievable! The folding window creates an innovative addition to your design project! The window can be opened completely by folding the panel’s accordion style to one or both sides, depending on configuration. Many different configurations and frame styles are available which allows us to customize this product for each project. Fixed windows are a perfect solution for increasing your view and natural light in areas where ventilation is not required. 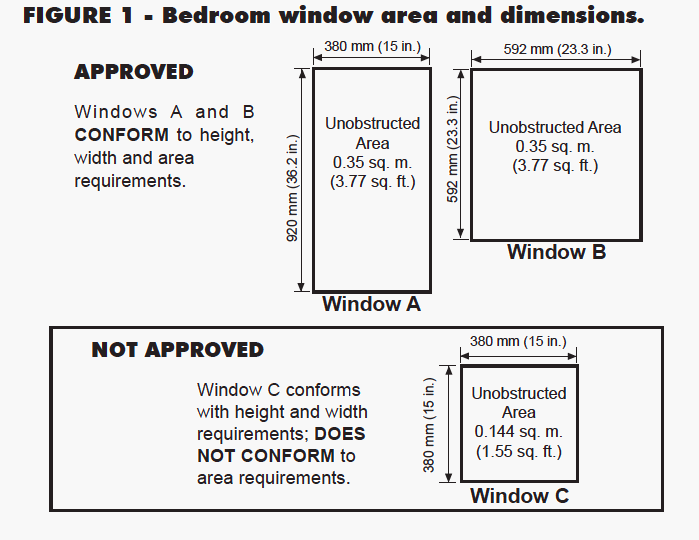 Dimensions of up to 7.5 sq. m. are achievable! 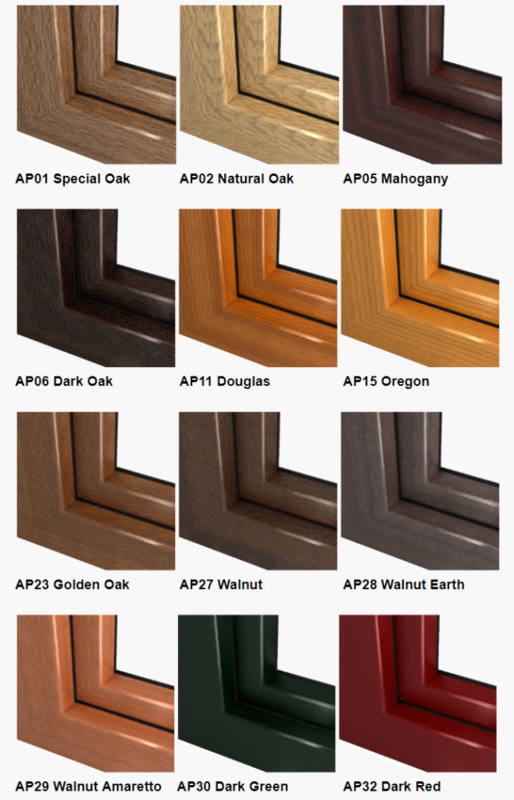 Hoppe’s Atlanta window handles are kept in stock in all available finishes in basic, button, or keyed. Hoppe also has a much wider selection of handles, though any custom handles would be shipped separately to the windows. A choice between visible and hidden hinges. Glass can often be neglected as unimportant when purchasing your windows, apart from choosing between dual and triple glazing. 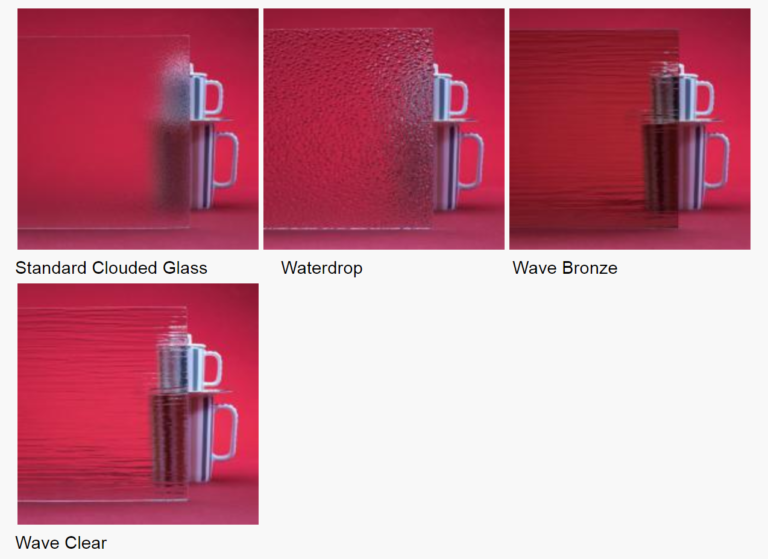 In fact, glass has quite a few functions, and can be quite specifically chosen for each elevation or even more specifically per window. 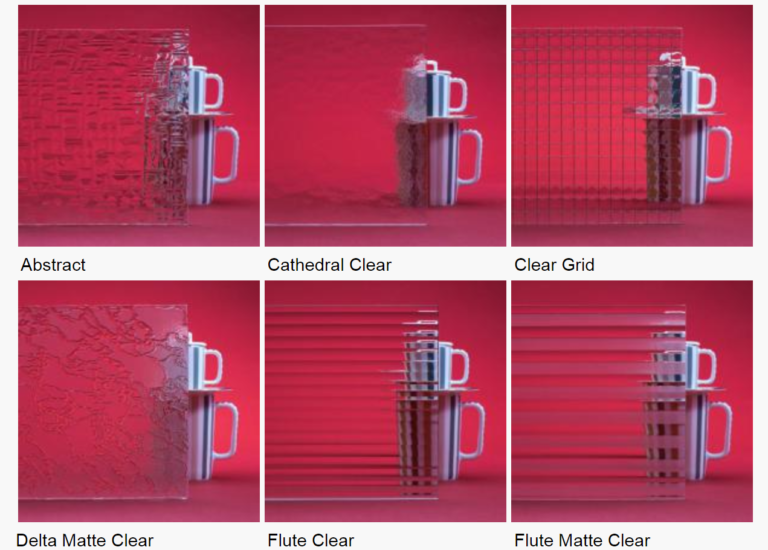 Over-dimensional: ESG6/12/6/12/ESG6mm Tempered glass. Argon, 2 Low E.
Frosted/Decorative: 4/18/4ORN/18/4mm triple glass, Argon both spaces. High Efficiency: 4/12/4/12/4/12/4mm quad glass. Krypton all spaces, 3 Low E.
6mm tempered triple glass must be used in window panes/sections larger than 2 square meters or when glass extends down to floor level. 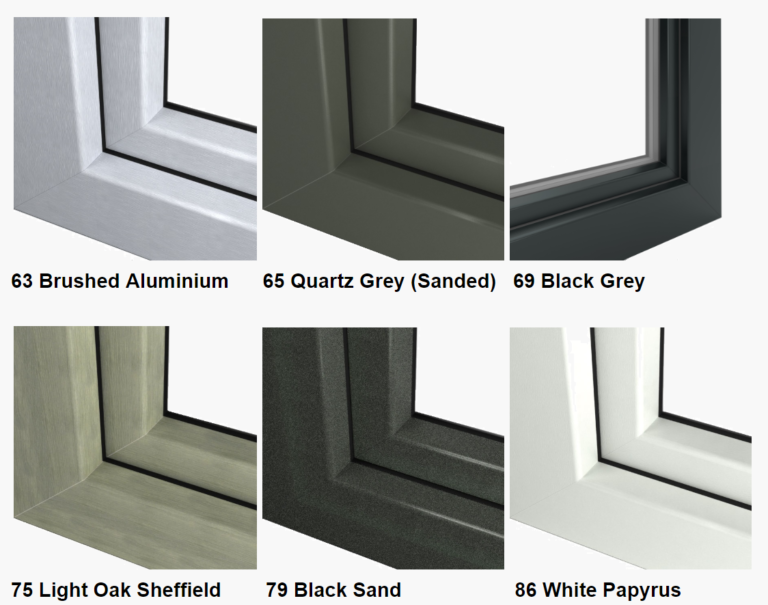 Quad glazing is available only for aluminium windows. 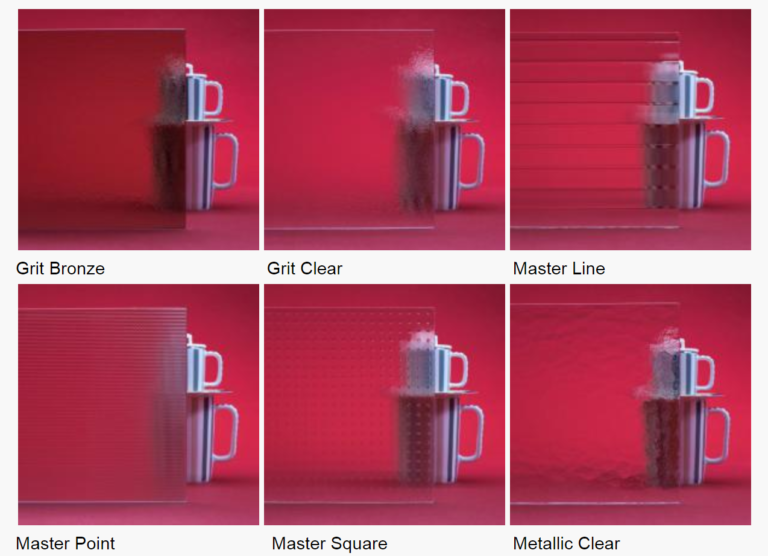 SDL: Simulated Divided Lite when grid is between the panes of glass, as well as interior and exterior. The glass is not split into the sections and therefore less affecting to thermal heat transfer. 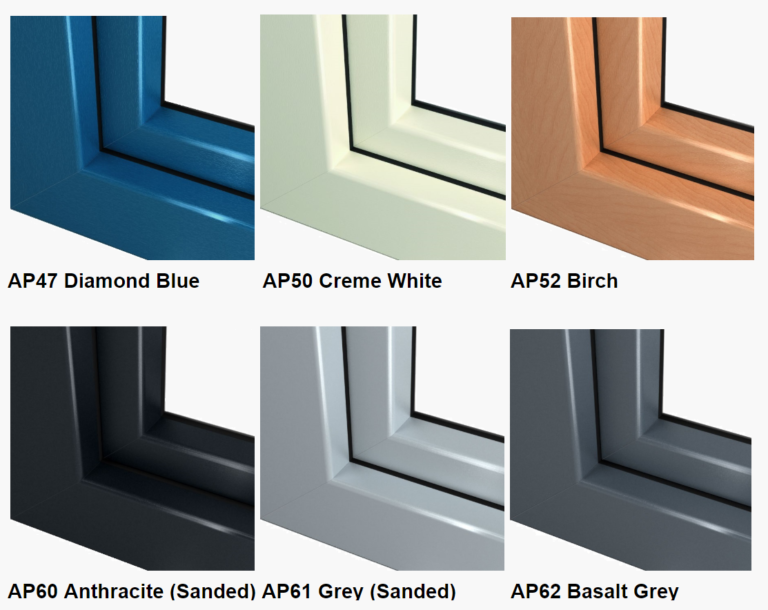 Many colours are available to match the window frame. Muntin: when grid is positioned between the panes of glass only making the glass easier to maintain. The glass is not split into the sections. 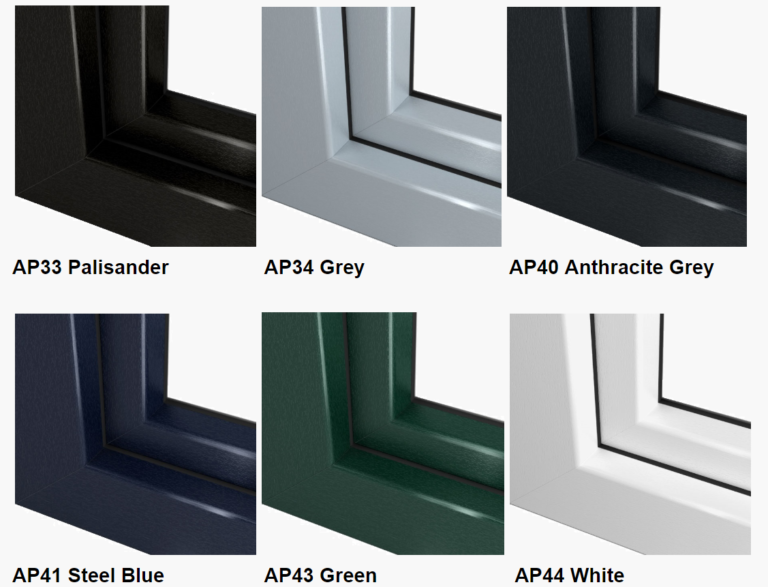 Many colours are available to match the window frame inside and out. Mid-post: A mid-post will split the glass up into sections. The mid-post will match the thickness of the window frame and in widths of 77mm, 85mm or 104mm. Mid-posts can be Renolit coated the same as the window frame and in any colour. 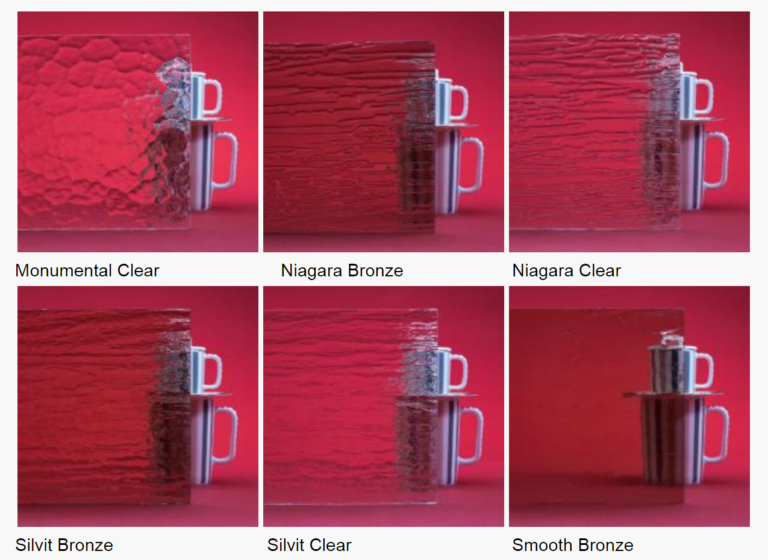 Standard Satinovo frosted glass has a shorter production lead time than other decorative glasses. Neuluxe windows use ‘Swisspacer Ultimate’ which is a high performance warm-edge spacer. The glass spacer serves multiple purposes. The values below refer to the combination of Low E coatings in our standard 4/18/4/18/4mm glazing package for each window. Climatop XN – usually used in north and east facing windows. Climatop ONE – Low heat gain, used in south and west facing windows. Eclaz – Used in some applications when solar heat gain is required. Windows and Doors can become a major design element in your home, and can play a big part in styling the exterior and interior finishes. We enjoy offering major freedom in the colour and texture of the windows and doors we provide. Finishes include all RAL Classic colours, either painted or anodized. A painted finish on a window is normally semi-gloss, but gloss or flat are optional. An anodized finish is flat and rougher than paint, but tough and less subjective to fading; an electro-chemically bonded finish for Aluminium. When choosing, your choice of finish will affect the price of the windows, but the colour will not (painted semi-gloss being standard). 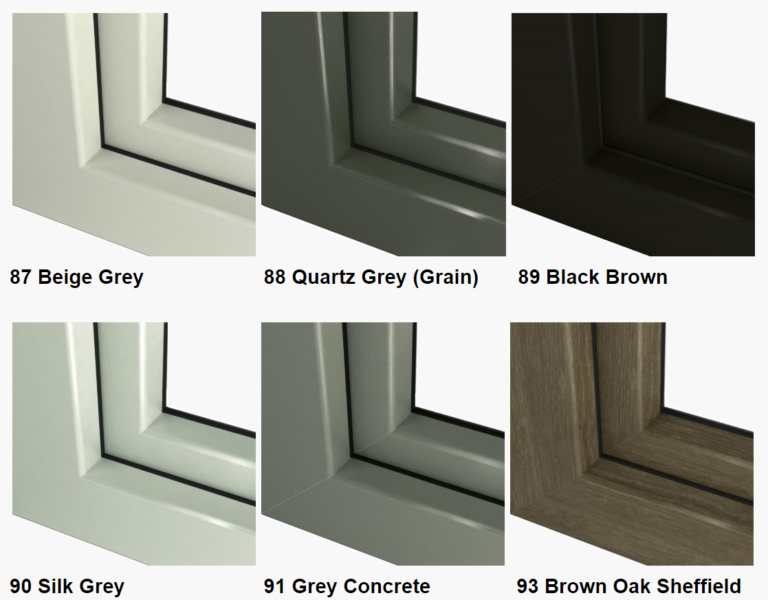 Interior and exterior colours should be chosen, and we can send an RAL Classic swatch to assist in your choice. White UPVC is commonly left unfinished, however, adding a coloured Renolit film can add style points and increase the durability of your windows. Renolit is a thermo-plastic film which is ‘baked on’ to the UPVC window frame. Renolit can have a wood grain or sanded texture, is more like a vinyl wrap than a paint, and will not chip, scratch or fade when exposed to all types of weather over a long period of time. When choosing, a Renolit coating will add about 8% exterior and about 11% interior to the cost of the white UPVC window, no matter the colour. We can send textured swatches to assist in your choice. 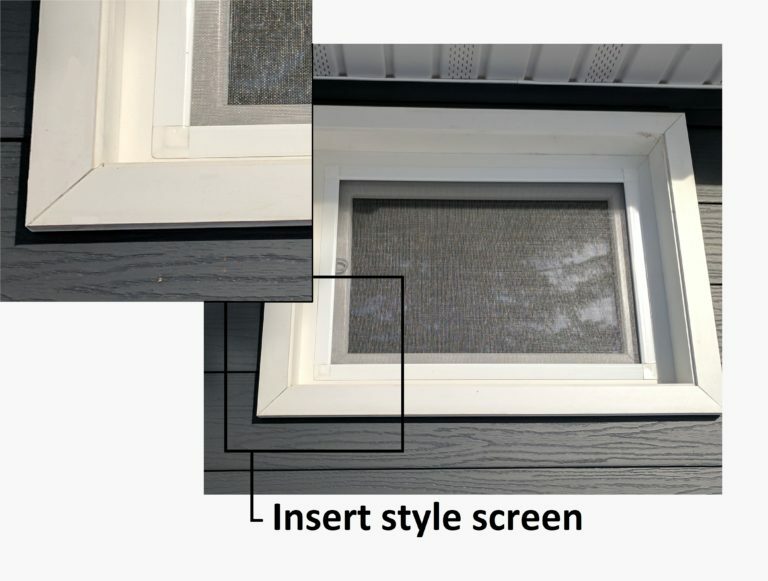 An insert style screen comes standard for each opening window.Screens are matched to the exterior colour of your windows. 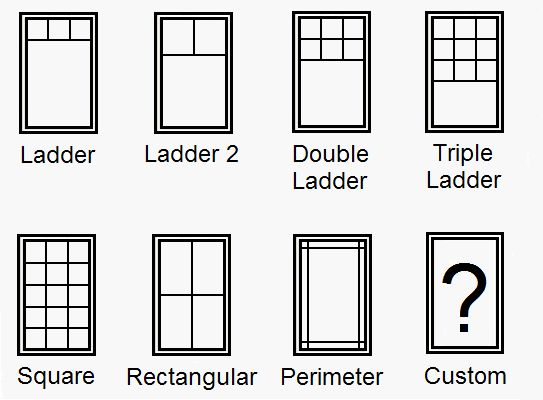 On almost every project, we run into questions about window sizes and restrictions. Aluminium windows have an even stronger frame than PVC, and have fewer size restrictions. 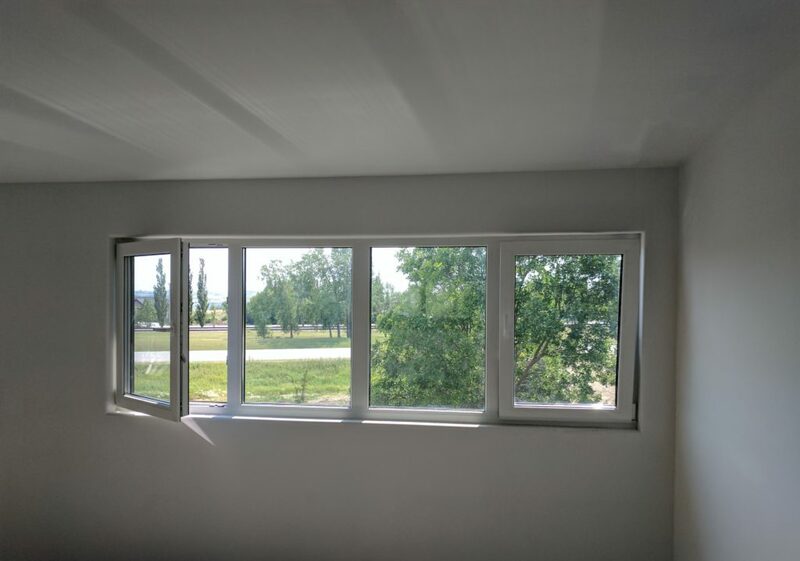 If your construction plans have windows which exceed our max possible dimensions, sometimes Aluminium is a soloution… Windows can be split up by mid-posts, with both fixed and tilt turn sections in any custom configuration. Windows must fit into a 40′ shipping container, a height restriction. If total window height is greater than 2400mm, the window will be split into sections less than 2400mm wide. The windows then will ship on their side. Max area of opening panel: 2.5 sq.m. Egress windows provide an emergency exit from each bedroom, whether it is in the basement, main floor, or second floor. Egress windows must provide ventilation and must be opened from the inside without tools, keys, hardware or special knowledge. The function of the tilt turn window if perfect for an egress function (Many people ask). The specifications can differ depending on your location, so your AHJ (authority having jurisdiction) or architect should be consulted. This diagram is based on typical specifications required in Manitoba or Saskatchewan. Most efficient install according to CSA, NFRC, ISO, and PHI testing. Recommended by engineers and used most commonly in Europe where they were designed and are built. Similar install to a Canadian built casement window and what many contractor’s request and are used to. The fin itself gives an additional weather barrier in the rough opening space. The rough opening must be built 1” larger in width and height than the window frame dimension. Tar paper should be cut back to the face of the RO. Flash the RO water tight with 4” or 6” flashing material, starting with the sill pan and overlapping about 4” up each jamb. The flashing should cover the sill pan and fold down over the face of the wall on top of the house wrap. If possible, gently heat the flashing membrane to stretch around the corners rather than cutting. Shim the sill pan level. Shims should be placed underneath each end, each mid-post or load point, then at 24″ intervals throughout. Clip the mounting brackets into the window frame. 6” on either side of the corners, and then every 24” all the way around the frame. Slide the window into place resting on the shims. Position the exterior of the frame flush with the OSB. The window should be level and square in the wall at this point, so screw the mounting brackets in all around. 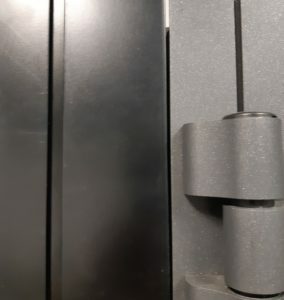 Extra shimming is recommended at the top and bottom of both jambs for extra strength. On the exterior use 2” flashing tape between the face of the window and the tar paper. Tape the bottom first, then each jamb, then the top so that the tape overlaps itself correctly. Foam fill from the inside between the window frame and the rough opening. Exterior finish: Stucco right over top of the tape to the face of the window. Same for cement board siding, trim part way over the face of the window frame, seal to the frame with caulking. Finish the interior return with drywall, MDF or other trim. Seal to the window frame with caulking. 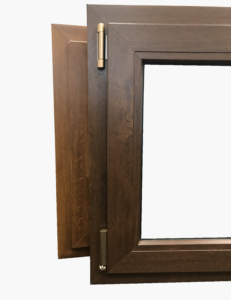 The rough opening must be built 1″ larger in width and height than the window frame dimension. Tar paper should be cut back to the face of the RO, ideally so that it will overlap the nail fin once installed. Flash the RO water tight with 4” or 6” flashing material, starting with the sill pan and overlapping about 4″ up each jamb. The flashing should cover the sill pan and fold down over the face of the wall over top of the house wrap. If possible, gently heat the flashing membrane to stretch around the corners rather than cutting. Shim the sill pan level. shims should be placed every 24” along the sill. Run a bead of silicone underneath the nail fin as an additional seal to the OSB. Slide the window into place resting on the shims with the nail fin underneath the tar paper. On the exterior use 2” flashing tape between the tar paper and the nail fin. Exterior finish: Stucco or trim over the nail fin butting up to the window frame. Interior finish: Return with drywall, MDF or other trim. Seal to the window frame with Latex based caulking. Silicone: Sikaflex 1A or equivalent high performance sealant. Screws for mounting brackets: pan-head screws – minimum #8×1 ½”‎. GRK screws are recommended. Flashing: 2” from window to tar paper and 4” or 6” to flash the bottom sill. 3M All weather flashing 8067 is recommended for both locations. Spray-foam: Tytan window and door foam or equivalent. We keep all recommended install materials in stock and are able to supply upon request.